Our pipe package usually uses excellent material of double silicone, good toughness, anti rub, as well as good waterproof effect. 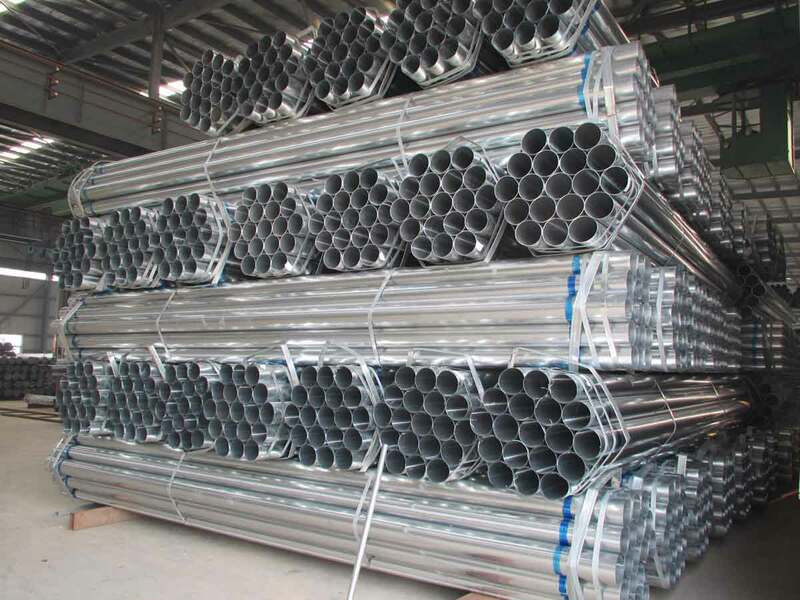 We usually use the steel strips of 1.2mm in thick and 32mm in wide for galvanized pipe package. Meanwhile, we use a number of strong packing belt, and try to avoid the loose package in the conveyance of loading or unloading. As a rule, our pipes are packaged with a total of 9 pieces of steel straps for 6m pipe, and a total of 11 pieces for 12m pipe. Besides, we use strong nylon hoisting belts in order to keep loading and unloading safer.